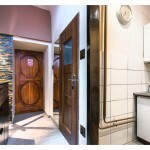 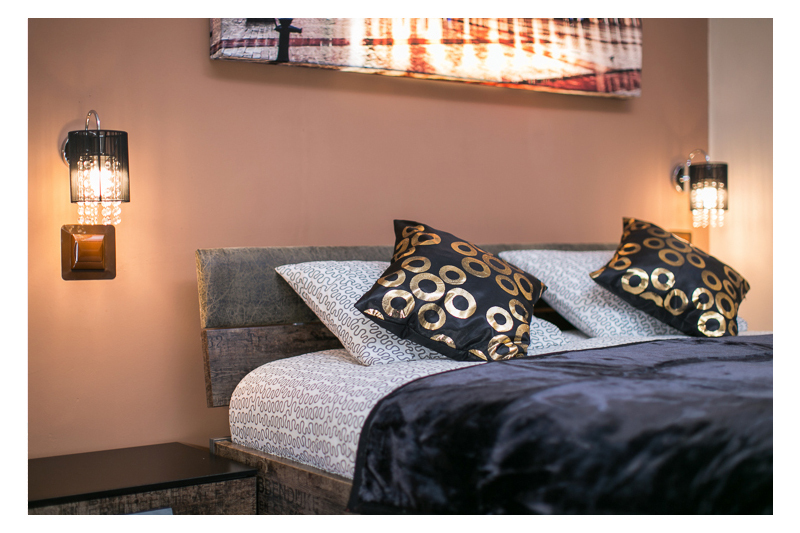 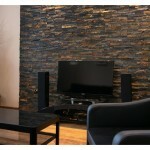 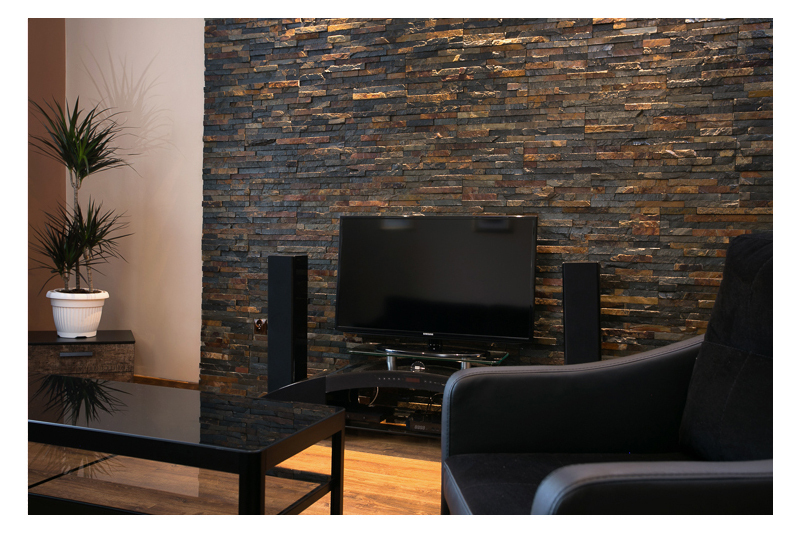 Apartment brown – black room for customers who have high demands when it comes to the standard of accommodation. 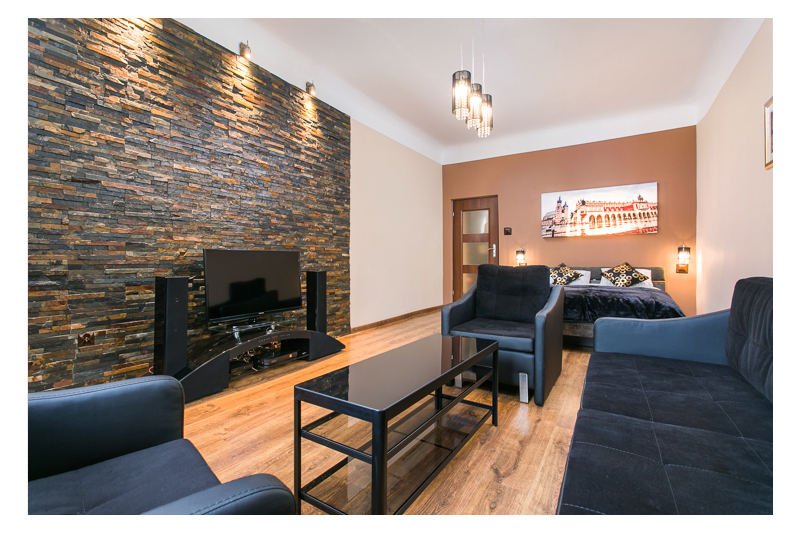 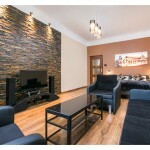 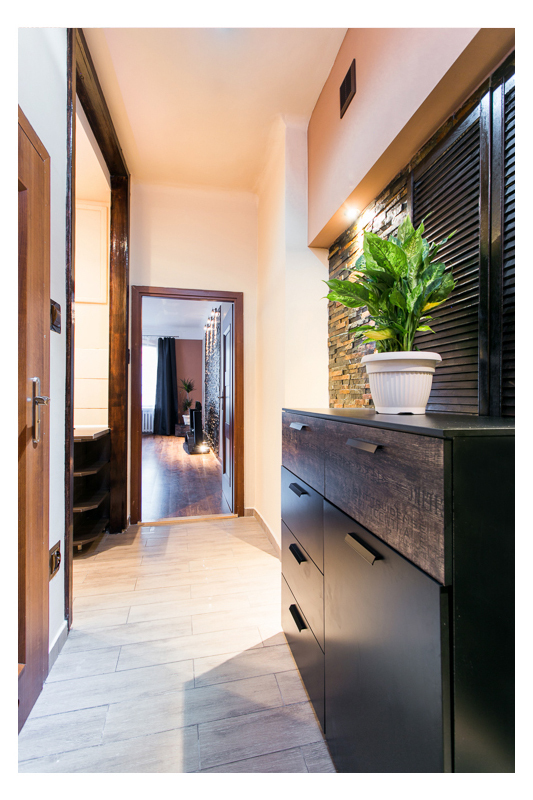 Modern and recently renovated apartment located on the second floor of the building, located in the center of Krakow, at ul. 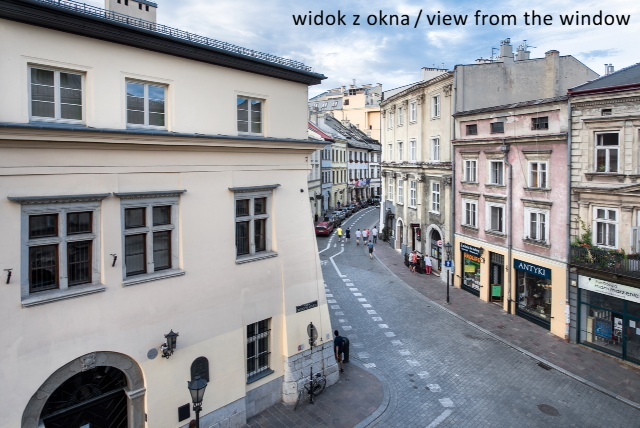 Mikołajska 5. 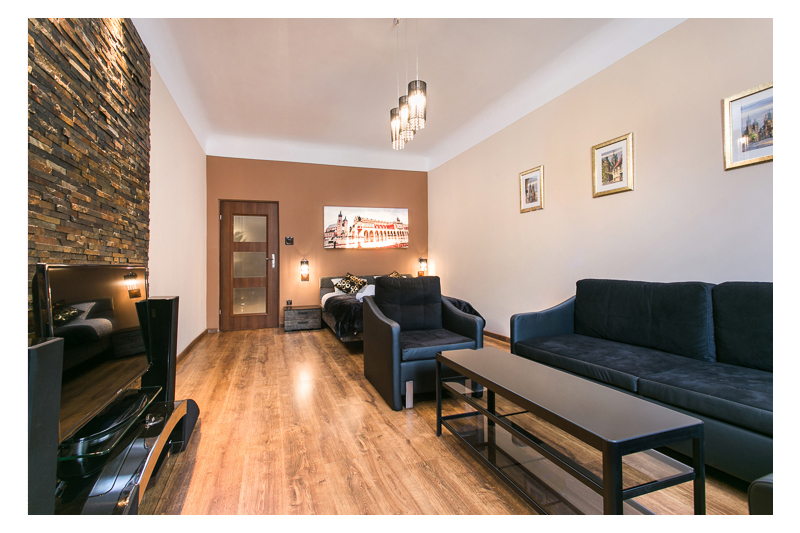 The apartment is designed in classic style, combining the colors black, resinous light brown, cream, pink and khaki. 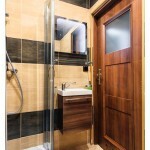 All mixed in the right proportions, giving a glamorous and full of elegance solution. 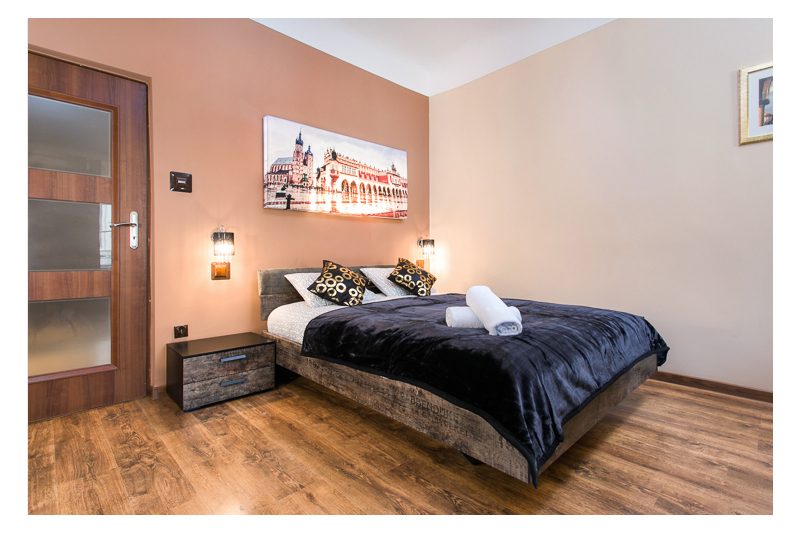 The standard apartment includes a very convenient and comfortable double bed, with the possibility of adding an extra two people. 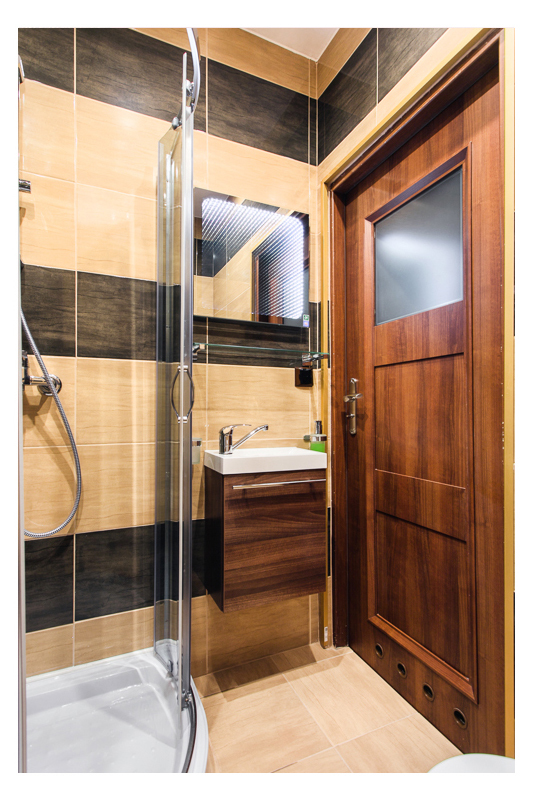 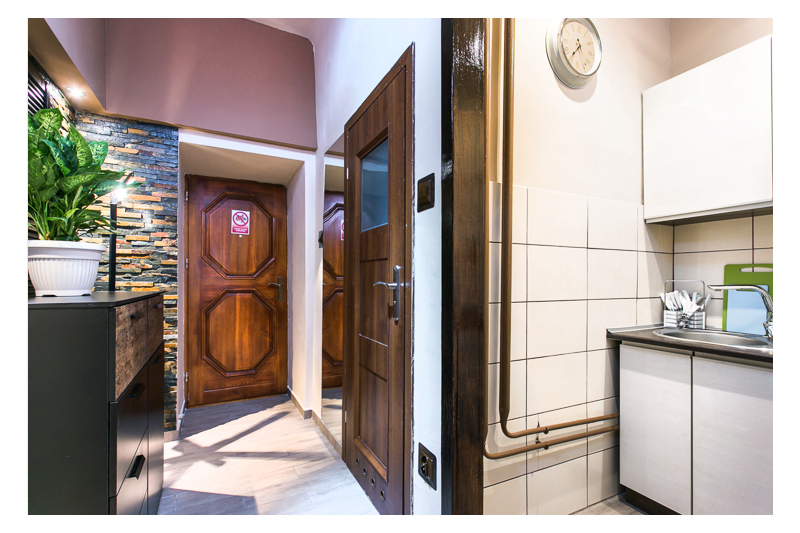 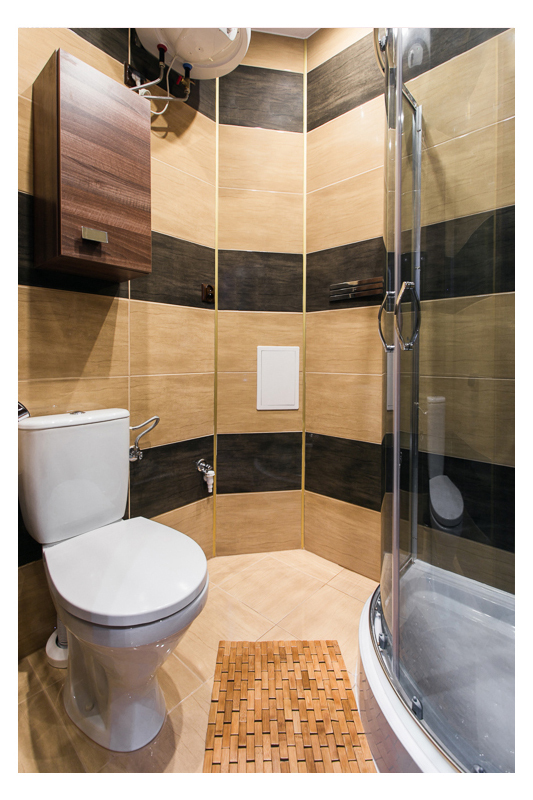 Customers have at their disposal a private bathroom with shower, a fully equipped kitchen with a dining area and a high-quality home cinema. 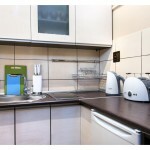 The apartment is very spacious and the link between the main room, kitchen and bathroom gives it the extra space. 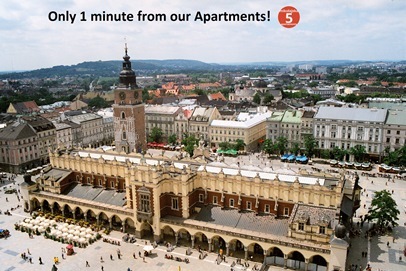 The window, located in the main room has a view of the quiet streets of Krakow, providing peace and quiet. 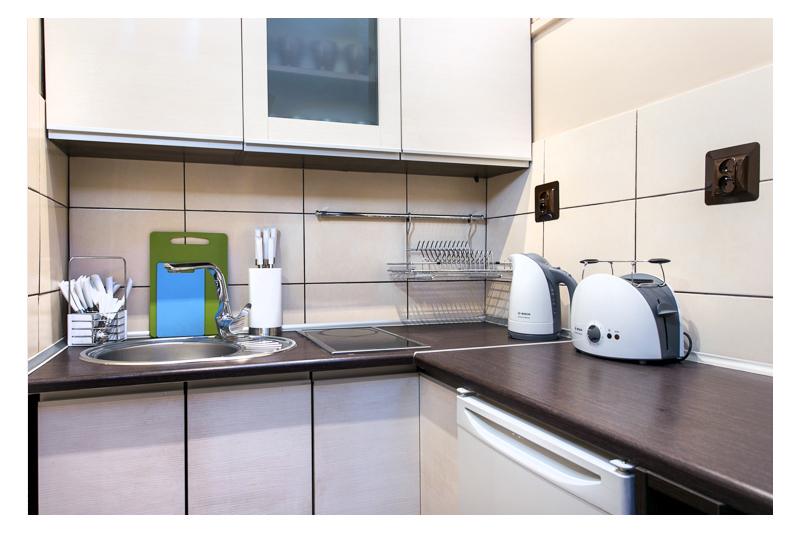 Apartment Violet, Apartment Green, Apartment Red, Apartment Blue, Apartment Orange, Apartment Brown, Apartment Grey, Apartment Gray – Red, Apartment Black – White, Apartment Antique.